Shawn Baldacchino B.Sc MLS (Hons.) is a PhD Graduate from the Faculty of Medicine and Surgery, Department of Pathology, University of Malta. Shawn completed his undergraduate studies in Medical Laboratory Science. During the degree he acquired extensive training in all fields of Medical Laboratory Science. For his thesis, he focused on optimizing detection methods for particular prognostic gene mutations, in a subset of acute myeloid leukaemia. 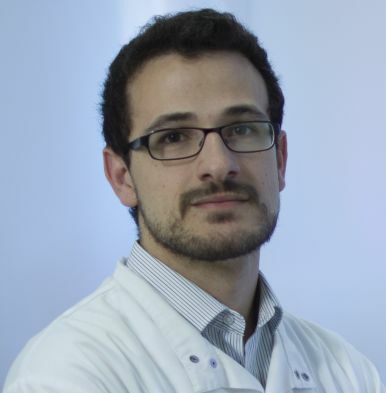 On completion of his undergraduate degree in 2011, Shawn was employed within the Pathology Department of Mater Dei Hospital in the Cytogenetics lab, where he has become a fully trained Scientist in the Cytogenetics field. He later started his PhD studies becoming part of the Breast Cancer Research team at the University of Malta, under the leadership of Dr. Godfrey Grech at the Department of Pathology, Faculty of Medicine and Surgery. Shawn was awarded the ‘Breast Cancer Project 2014-2016’ scholarship. His doctorate studies focused on defining a new class of Breast Cancer within the triple negative subtype which currently has the worse prognosis and least therapeutic options. This new class of cancer is hallmarked with deregulation of a protein phosphatase and is potentially a novel therapeutic group. Over the past few years, Shawn has established a strong collaboration with Leeds University who provided hundreds of annotated breast cancer samples and is also working on a local cohort of retrospective breast cancer samples. This cell mechanism is being investigated using a novel approach that utilises a custom-designed technique coupled with Laser Microdissection to isolate specific cell types. Research work has been presented at international conferences including the European Congress of Pathology of 2014 and the St.Gallen Breast Cancer Conference of 2015. He published an article as first author in the EPMA journal in 2014, has another paper in submission and contributed to three other published scientific articles. Shawn graduated in November 2016.